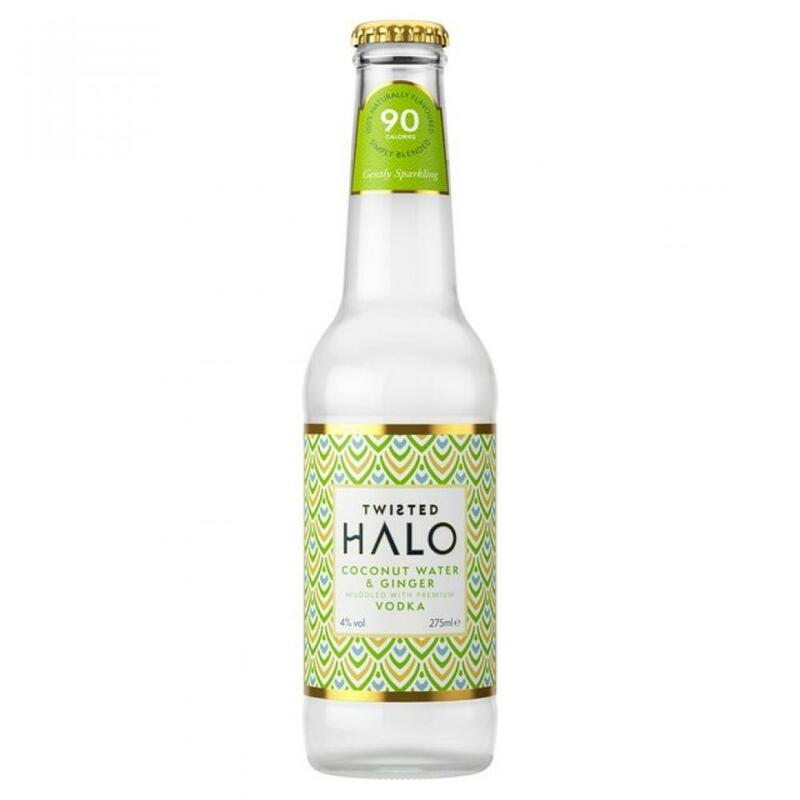 Twisted Halo is a gently sparkling blend of coconut water twisted with ginger and muddled with premium vodka. Combining unusual, sophisticated flavours with natural ingredients, the brand's mission was to create a great alternative to the bland and boring vodka lime and soda mix. At just 90 calories per 275ml bottle, the result is a light and refreshing ready-to-serve drink that is downright delicious. No added sugar, no artificial flavours, no nasties, just goodness - but with a vodka twist.